Born on February 11th 1466, Elizabeth of York was the eldest daughter of King Edward IV (pictured right) and his queen, Elizabeth Woodville. When she was only 17, her father died of pneumonia triggering the famous 'War of the Roses.' 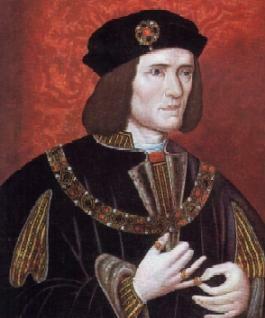 Her brother, Edward, made way for London upon hearing of their father's death and was met en route by his uncle Richard (later Richard III) who escorted him to the Tower of London. It is alleged that Edward never left the tower. 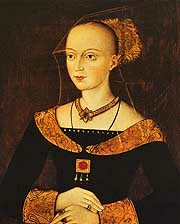 Weeks later, Elizabeth and her brothers were declared bastards when an act of Parliament stated that the marriage of her parents was invalid, a proposition possibly fabricated by Bishop Robert Stillington in favor of their uncle Richard for the throne. 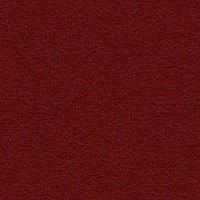 Many stories were told about the fate of her brother. 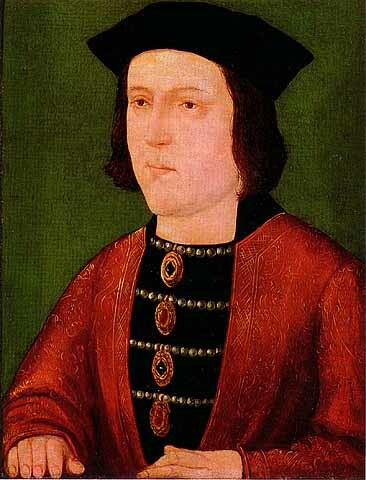 Tudor propaganda implied that he and younger brother Richard were smothered and buried in the Tower at the request of their now King uncle Richard III who took the crown for himself after the children were illegitimized. Richard named his nephew as heir-presumptive but the Lancastrians were fighting to name Henry Tudor (Elizabeth's future husband) to the kingship. 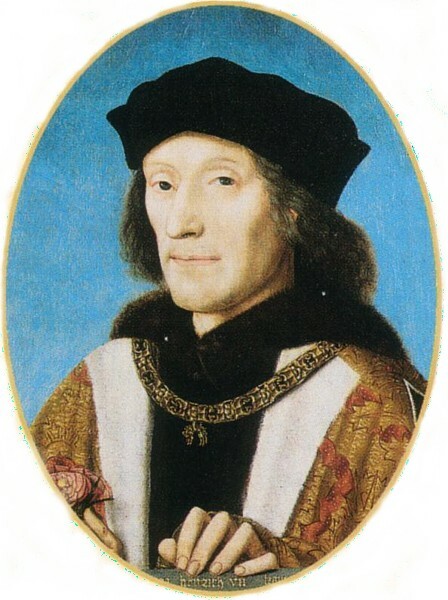 Henry gathered support and with an army half the size of Richard's, defeated the Yorkists at Bosworth Field on August 22nd 1485. Richard's crown rolled off his helmet when he was cut down. It was retrieved by Henry Tudor's stepfather (who had deserted Richard's army in favor of Henry's) and placed on the head of the new king. When the War ended, Elizabeth was one of the few remaining of her kin. It was petitioned by the House of Lords and the House of Commons that Henry marry Elizabeth, the rightful Yorkish heir, and join the two warring houses. It was by this arrangement that the War was symbolically ended. Elizabeth and Henry were wed on January 26th 1486 at Westminster and despite the arrangement, seemed to have a very happy marriage. 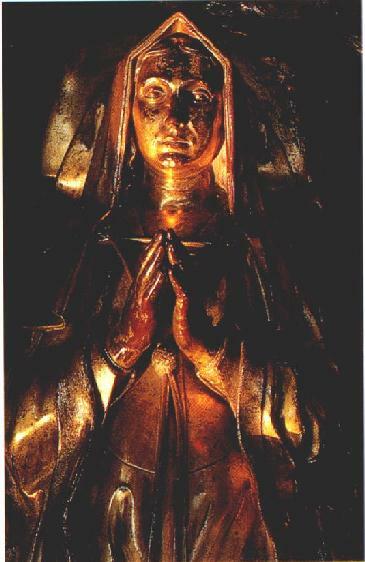 Her coronation was deferred until November 25th 1487 due to her first pregnancy. They had four surviving children: Arthur, Maragret, Henry (the future Henry VIII), and Mary. Unfortunatly, not much is written about Elizabeth. Nothing can be known about her feelings towards her uncle or her thoughts regarding the dissapearence of her brothers and murders of her kin. What is known is that her husband (who outlived her), never remarried and spared no expense for her magnificent funeral. Elizabeth died in childbirth on her 37th birthday and is buried with her husband at Westminster.